fabrication, with the acccent on structure. 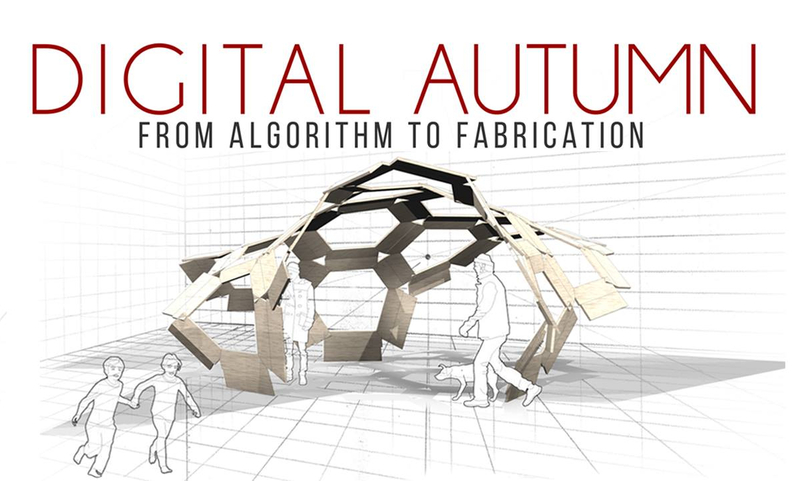 It is open to everyone who is keen on parametric design and production. The pavilion concept will be introduced together with Karamba, Grasshopper, and Rhinoceros software. Together we will discuss and develop the analytical and production methods, and design the form. Through rapid prototyping we will test our designs and finally produce and build the outcome! The course will contain complete introduction to the necessary software, and no previous knowledge is necessary, although desirable. You can find more info about the organizers and past workshop here. Looking forward to see you in November!